All my grills & smokers w/ brief grill reviews. 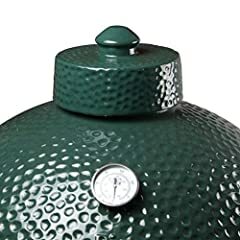 Big Green Egg minimax, Weber Summit Charcoal Grill, MAK Grills 2 Star General, Kamado Joe, Weber Smokey Mountain, Weber kettles (including 26 in Weber kettle with Slow N Sear), Akorn kamado Jr…And a few others that might surprise you. Hope you enjoy watching it as much as I enjoyed making it! I participate in the Amazon Services LLC Associates Program, an affiliate program which allows youtubers to earn a fee by linking to amazon.com. I have a similar arrangement with Adrenaline Barbecue company. If you use the affiliate link, I will get a small commission with no extra cost to you. This helps offset some of my costs related to making videos. Thank you! Ok. I don’t see a PK charcoal grill and wondered how it compared to the kettle. I’d love to see you get one of those and put it through some cooks and let us know if it stands up to the hype. For my next grill I’m considering a weber performer deluxe or maybe one of those. I’ve been a weber man for years, but I’d like to see how the PK “performs” before I make a decision. Only thing, the PK doesn’t look like it would hold as much food, especially when doing indirect cooks. You do not need that many grills. The government should take your grills away and redistribute them to minorities. Have you ever used a Holland Grill? Would value your thoughts. I’m trying to plan for my outdoor kitchen and just found your channel. Great content and very helpful when I try to choose 1 or 2. I think you might have grilling issues. LOL. I like your videos. Question: if you could own only one grill from your collection, which one would you choose, and why? Great stuff but why is there no PK Grill in your collection? Awesome collection of grills! I got my first charcoal grill this year. It is the limited edition red kettle and it has been awesome! I got the Slow N Sear for it and that made it even more awesome! Now I feel like I need to expand my collection by adding a WSM since I have been doing more smoking than searing. Awesome collection. Just 1 of the triplets would cost over $500 here in Aus and don’t start me on the slow n sear. Jeezuz you Americans have it good when it comes to bbq! Thanks for the tour. cheers. Currently have an older weber gas grill that works perfectly, and am looking to get a smoker (that also allows for grilling if need be) with a max budget of $500-750— thoughts? 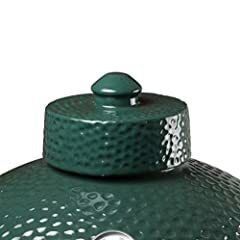 My thinking is to either get the vision brand kamado or camp chef pellet smoker. New to the channel trying to catch up on older videos, but I agree with you on your comments about the Smokey Joe. I have the silver version with the vent on the bottom of the bowl so the air flow is better than the Gold version. A friend of mine who has the Gold always complains about the air flow/temp control issues. I got lucky and got my Silver for free someone dumped it at a tailgate in good condition but if I had to buy one would definitely get the Jumbo Joe. I would LOVE to have the summit….but man they are pricey! I like my old 22″ kettle I’ve had for years, the only drawback is when it gets down below 0F up our way…cook times really slow down, so I use foil and a couple other tricks to make sure dinner is on time, haha. Mini max is good !! What camera are u using to video your grills. Love the channel! Time to change the name of the channel. Cooker Maniac? Feel free to use it. Awesome video of all your grills. I like watching your videos along with T-ROY Cooks and a few other BBQ Youtubers. I do have a question for you. I have a really cheap grill and I am wanting to step it up. I just purchased 2 months ago a Barrelhouse Cooker and I absolutely love it. I smoked my Thanksgiving Day turkey on it and it was damn good. I’ve done some baby back ribs on it and they were amazing. But I am wanting to get a proper grill as well. I have been looking into Kamados for about 6 months now and I am ready to make a purchase. 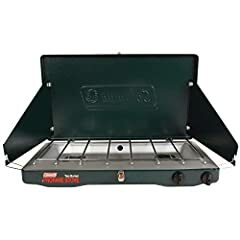 Throughout my search I came across Pellet grills which I had never seen before and am now torn between if I should get a Kamado or a Pellet Grill. When it comes to Pellet Grills I have narrowed my choices down to The Pit Boss Austin XL and The Rec Tec RT-700 Bull. Both offer a good amount of real estate space for cooking but there is a huge price difference between the two. The Pit Boss Austin XL is currently less than $500 at Walmart and the Rec Tec is around $1200. The Kamados that I have been looking at are the Caliber Pro Thermashell, the Blaze Aluminum, the Grilla Grills Kong, the Kamado Joe Big Joe, and the Vision Grills Signature Grande…..yeah, I know those are a lot of Kamados. I want a good amount of cooking space but the steel and aluminum in the Caliber Pro and Blaze look very interesting. They would not crack like the Ceramic grills but then again the Ceramic grills are tried and true. What is your recommendation between Kamado or Pellet? Which Pellet grill would you choose from the 2 that I have mentioned and which Kamado would you choose from the 5 that I have mentioned? Thanks for your help. Weber q. Sensitive new age guy grill. Man! My wife balked a $400 grill. What a collection. The Weber Summit Charcoal Grill (Grilling Center) is a Kamado! Weber Summit Charcoal Grill Review 1 year later- The best kamado ever? WEBER KETTLE CHARCOAL GRILLS COMPARISON – WHICH WEBER 22' IS RIGHT FOR YOU?